John Early joined Moore Ingram Johnson & Steele in 2013 as a member of the firm’s litigation department. His practice is primarily in the area of Workers’ Compensation defense. John has handled numerous workers’ compensation hearings, mediations, and appeals throughout the State of Georgia, and he has experience handling every aspect of workers’ compensation claims. John received his undergraduate degree from the University of Georgia. He was awarded his J.D. from Georgia State University in 2010. 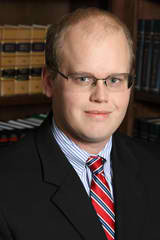 Prior to joining Moore Ingram Johnson & Steele, John practiced criminal and civil law with a small firm in Canton, GA.